$34.95 $26.21 Not Currently Available – Check Back Soon! The limited-edition box set is an annual project started in 2014 to ensure the publication of up to a dozen chapbooks by African poets through Akashic Books. The series seeks to identify the best poetry written by African poets working today, and it is especially interested in featuring poets who have not yet published their first full-length book of poetry. 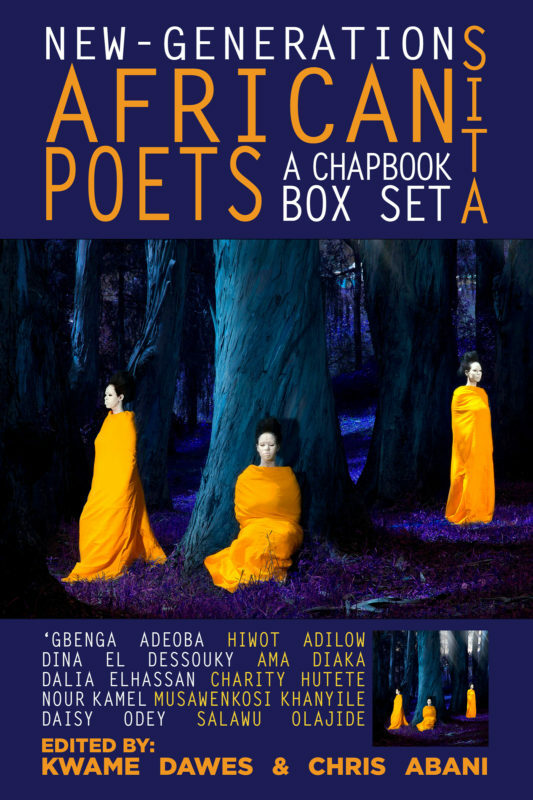 The ten poets included in this box set are: Hiwot Adilow, Dalia Elhassan, Charity Hutete, Nour Kamel, Daisy Odey, Salawu Olajide, Musawenkosi Khanyile, Dina El Dessouky, Ama Diaka, and Gbenga Adeoba.